We are a church in transition. As we embark on the interim process after the retirement of our settled minister who served our church for eight years, we will naturally revisit existing ideas. At the end of September, about thirty people in our congregation met to re-examine our ecological values and our commitment to the Ecological Land Ministry plan we adopted in December of 2014. In lively discussion, we affirmed our desire to have our campus feature vegetation and gardens that support our environment and the life on it. We’ll also be exploring new ideas as a congregation, because periods of transition present challenges, and we need to change to deal with those challenges. Each of us may encounter changes we don’t particularly like: perhaps a new service, moving an activity from one location to another, new signage about security, or the rearrangement of the order of service. Each of us is also likely to encounter changes we do like: the themes for our potlucks, the added time for childcare on Sundays, or the rearrangement of the order of service. It’s easy to think all these changes are coming from our interim minister. That is not the case. Some do fall within the minister’s purview, but our teams and committees and the board are developing and authorizing most of these changes. For though each of us searches for our own truth and the whole encourages that search, we can only exist in our diversity and differences if we agree to work together, trust each other, and covenant to the whole. Sometimes that means letting go of traditions that bring us comfort and being open to new traditions. Changes are going to happen, yet some very important matters are not going to change. Who we are remains fundamental. We are a caring community that encourages spiritual growth and actively works to improve our society and the environment … a welcoming congregation with abundant resources and diverse ministries, nourishing people in body, mind, and spirit with a garden honoring the Earth. There is no other religious community in this area like us. As long as we remember that each of us always has a voice, and that nothing is carved in stone, as a loving community, we can surely display patience while we figure out the best way to grow. 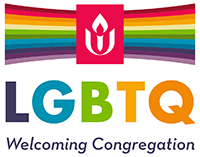 I ask for your open mindedness and your patience as we strive to discover new ways of being that we believe could make us a more effective UU congregation in the Bowling Green community. Just as you have committed to this congregation, I ask that you commit to giving the changes their best chance to become a better way for us to operate. Try it out, and during or after a time doing so, I encourage everyone to send suggestions, thoughts, feelings, along with compliments and frustrations to the Committee on Ministry. Their goal “is always redemptive in terms of a higher level of commitment beyond personal agenda toward why the congregation exists and insights about how parts and the whole relate” (from COM model by Latham). I invite us all to be generous and gracious with each other as we experience these changes during a transitional period. Consider the wisdom of “Don’t sweat the small stuff” and remember that no one has taken your voice. You can continue to participate and be heard. You can join a team or committee and be a part of deciding what changes are made. One constant about change is that the changes can be changed. This is the essence of evolution, and make no mistake, we are evolving. You are invited and most welcome to be a part of this evolution and experience.